Enjoy quality visuals from almost any direction with this LG 34" Class UltraWide Curved Gaming Monitor. This monitor features an awesome FHD 2560 x 1080 resolution alongside a Mega contrast ratio, to make your browsing and document writing a clear and bright affair. It supports up to 8bits, 16.7 Million colors and features IPS(In-Plane-Switching) technology that highlights the performance of liquid crystal displays and allows you to access a multitude of different windows for both your work and private use. 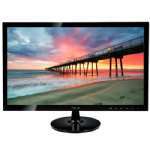 Plus, if you�re under a deadline and don�t want quality to suffer, this monitor�s responds in 14ms/5ms GTG without needing to sacrifice the vivid and quality view that you need. It has an HDMI, DisplayPort and four USB 3.0 input that lets you connect multiple sources through the On-Screen-Display allowing you to increase your productivity. 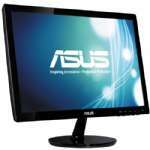 It features NTSC 72% color gamut and 144Hz refresh rate that offers fluid game play and dynamic field of view ideal for immersive gaming. With FreeSync technology, gamers can experience seamless, fluid movement throughout hi-res, fast-paced games. With a response time that is virtually 1ms, blurring and ghosting are reduced to make the action smoother and gamer reactions more precise. 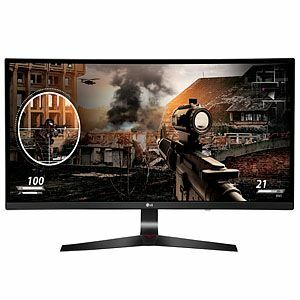 Purchase the LG 34" Class IPS FHD Gaming Monitor now and start playing games in a very good quality!